We are pleased to announce a gorgeous litter of 2 Cavapoos born December 13th. Based on their 13 pound Cavalier mom (Tracy) and 9 pound Poodle dad (Karl), we expect this litter of puppies to be 8-15 pounds full grown. These two precious little girls are as sweet as they are beautiful! We believe they will make outstanding family members for a few fortunate forever homes. 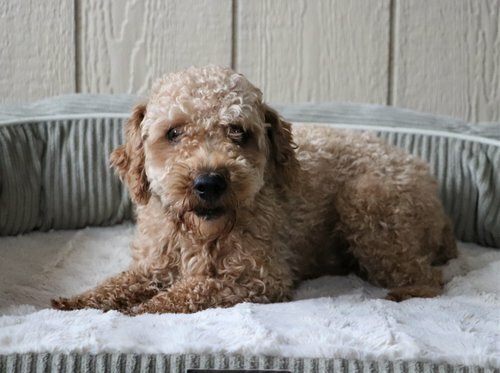 Trinity is an absolutely adorable little Cavapoo girl with an affectionate personality. She seems to have highlights throughout her thick red and white coat, and she has big, beautiful eyes. Trinity has stolen our hearts and we know her lucky forever family will love their sweet girl! Tootsie is as sweet as can be! 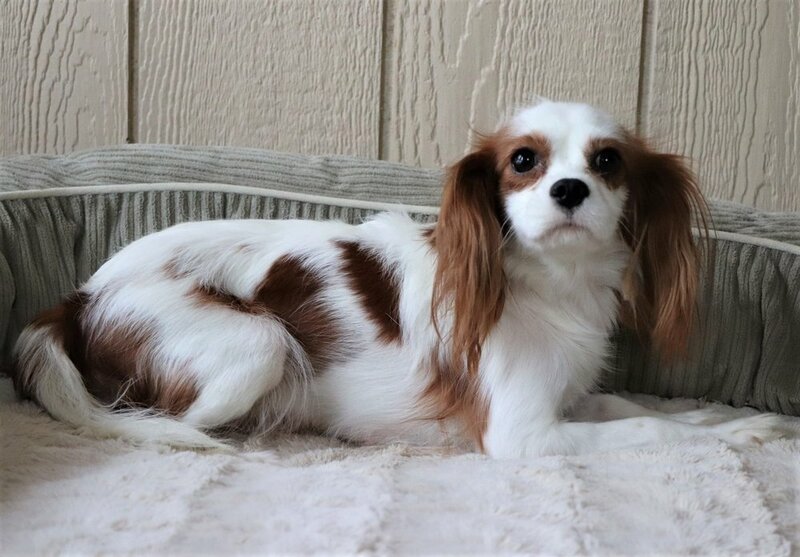 She is gentle, loving and smart with a stunning deep red and white coat. We couldn’t be happier with her and think that she will be a wonderful companion. Tootsie loves to be loved and is so easy to love in return!